The Spring Creek Cattle Company in western South Dakota with working cow and cutting bred mares. In a symbiosis of these two outfits the F&L Cattle Company was founded and added top of the market cutting and reining bloodlines to the broodmare band and stallion line-up. No matter the background - the mares stay out on pasture year round, where they breed, give birth, and raise their foals. This country is pretty rough and these horses are sure footed and reliable when it comes to crossing streams or climbing rocky hills. 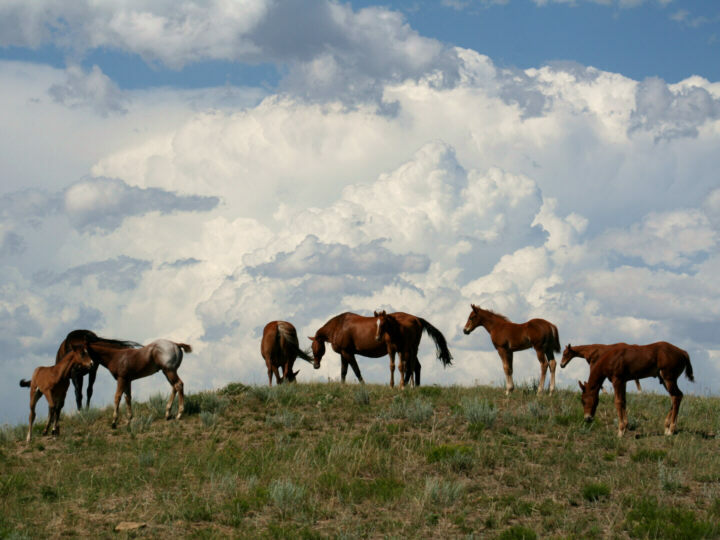 The foals are ranch raised, surefooted, hardy, and withstand our harsh Wyoming weather conditions. 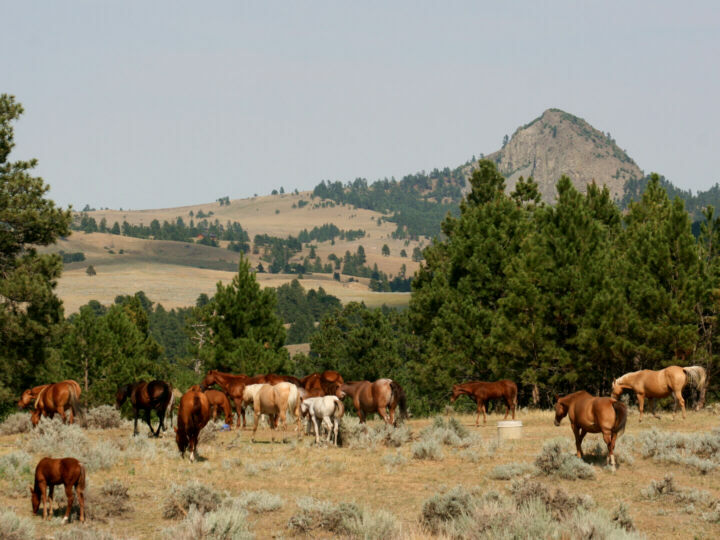 We stand four stallions at the ranch, two of them are available for outside mares. We raise Quarter Horses for more than twenty years and many of our offspring are working in our ranch remuda of thirty riding horses. We have never had a soundness problem with any of them, unless it was injury/accident related. Strong bones, hooves and tendons are just one of their trademarks.